The company SpaceX chose the first tourist, who will make a turn around the moon on the spacecraft of its production. As representatives of SpaceX said at a press conference on Monday, it will be Japanese billionaire entrepreneur Yusaku Maedzawa. 42-year-old Maedzawa is the founder and head of the website Zozo, with which you can order clothes made to individual standards. Maedzawa is one of the wealthiest citizens of Japan. According to the magazine Forbes, its capital is about $ 3 billion. According to the businessman, such a flight has always been his dream. “Finally, I can say: I was chosen to fly to the moon,” he said, speaking to reporters. The press conference took place at SpaceX headquarters in Hawthorne (California) and was broadcast on the company’s website. As the head of SpaceX Ilon Mask stated, the space ship with Maedzava on board will be put into the orbit of the Earth satellite by the carrier rocket Big Falcon Rocket (BFR), which is still at the production stage. Approximately the flight can take place in 2023. In 2017, Mask announced that his company would send two astronauts to fly around the moon on the Dragon spacecraft, which was planned to be launched into orbit by a Falcon Heavy carrier rocket. 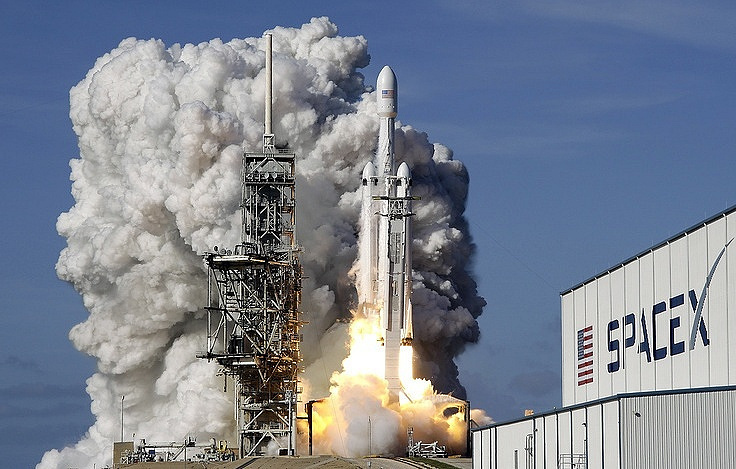 However, after the first launch of the missile in February of this year, Musk announced a change in plans, saying that SpaceX will not continue to work on the manned version of Falcon Heavy. According to Mask, the whole flight can take about four to five days. Before launching a rocket with a space tourist, SpaceX will make several test flights without people on board, the head of the company said. Maedzawa did not disclose how much it would cost him a trip to the moon, however, according to him, he had already made a preliminary contribution. As specified by Mask, it is a question of “a significant amount,” which, in particular, will help finance the project to create BFR.